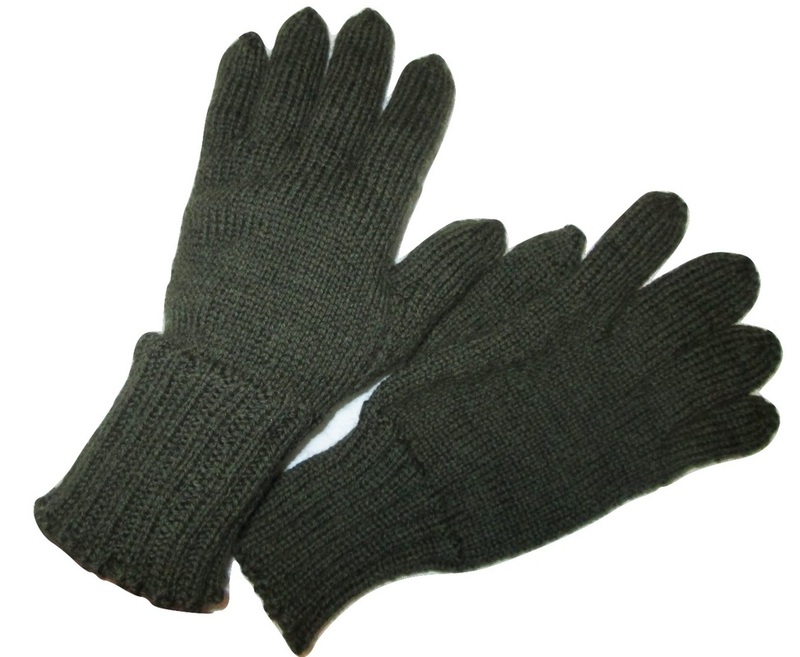 Many varieties of hand wear: gloves, wristlets/wristers, mittens, gunner gloves, rifle mittens, and fingerless gloves. I can make these in many colors of pure wool yarn. I make all of these from the original Great War patterns. Please feel free to contact me with any questions or to custom order your selection. Prices range from $25-$50. These are short wristers that just cover the hand. Short wristers that I made in olive drab wool. As you can see, this wrister just covers the hand and top of the wrist. The short wristers have a thumb hole, but can also be made without one to just be worn around the wrist. 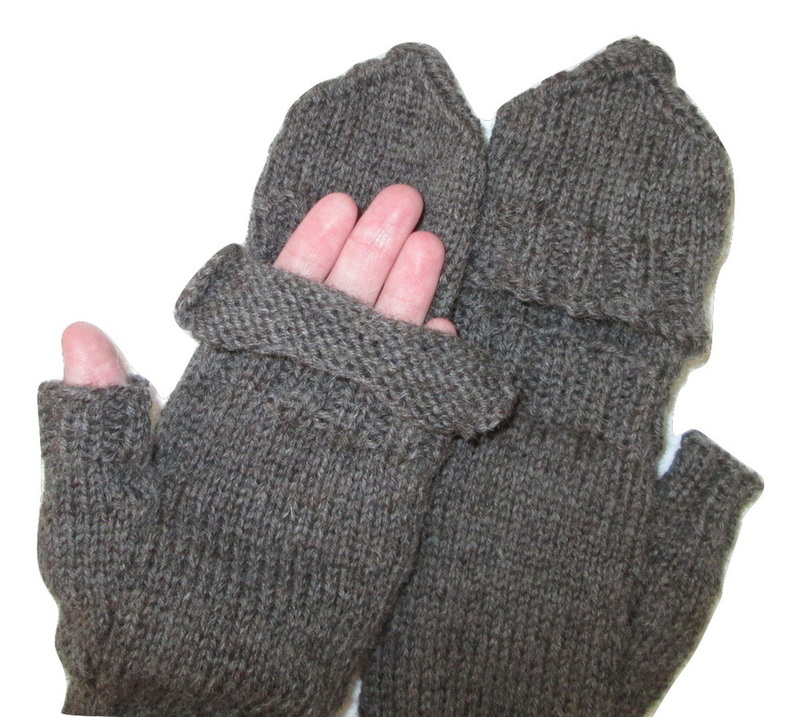 Here are the basic Thumbless Mitten Wristers. They are also called wristlets. They are 9 inches long. This pair of wristlets I made in navy blue wool. One of the many pairs of the 9 inch long Wristers I made. This pair is in olive drab. The official Red Cross Wristlets. Twelve inches long. 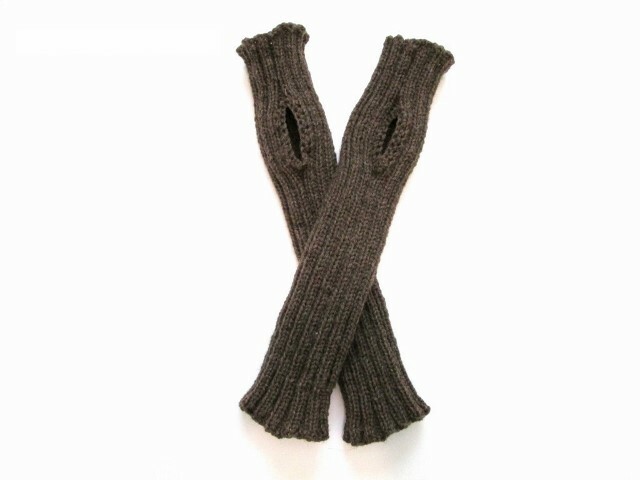 I knitted this pair in gray wool. Another pair of the official Red Cross Wristlets (also called Thumbless Mittens). Basic gray color. 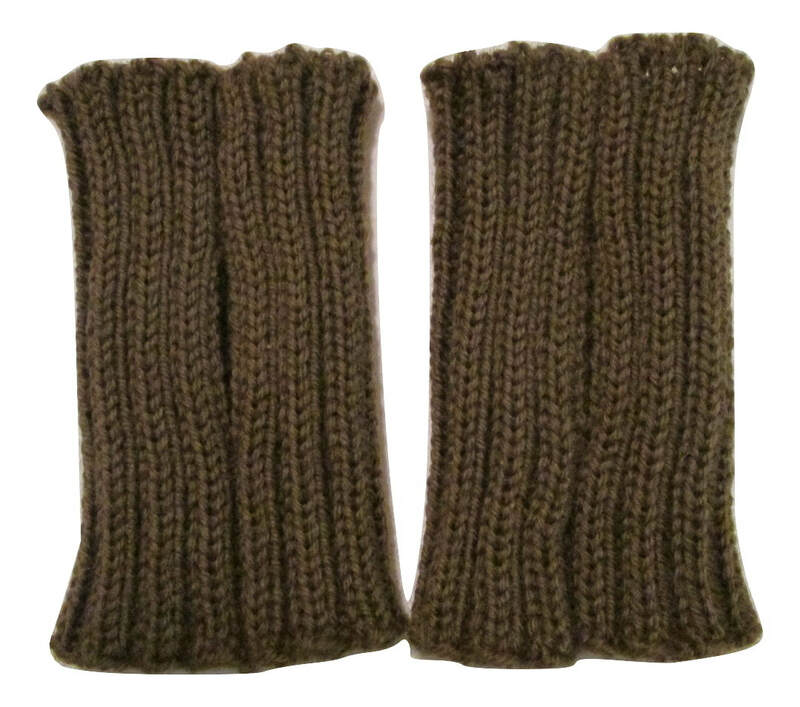 This is a pair of long wristlets that I made in brown wool. There is no photo in the original pattern. These wristlets come all the way up to the elbow. A long pair of wristlets that I made in a tan color. These hand protectors are similar to wristers/wristlets, but they only cover the wrist and top of the hand. These are called thumbless half mittens. 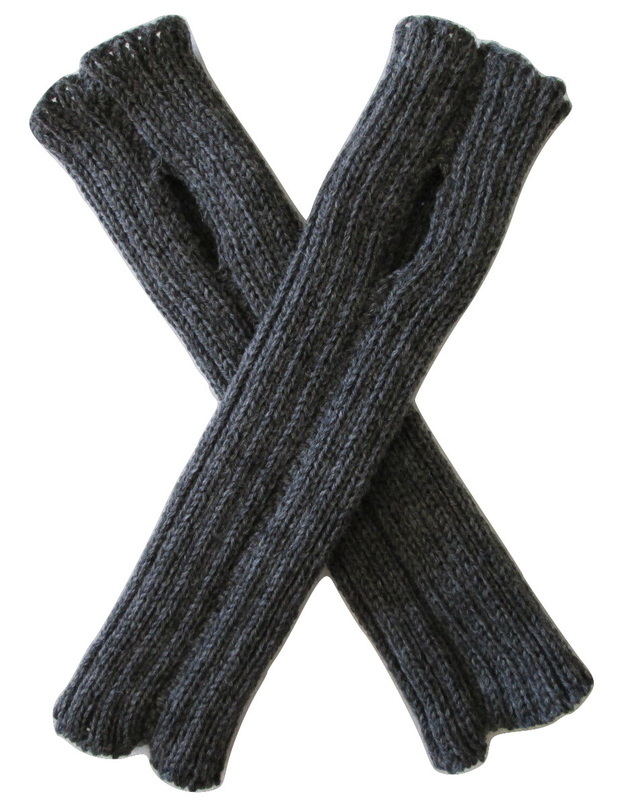 They are similar to wristlets, but are shorter and have ribbing at the top and bottom rather than ribbed all the way. Here is a very unique mitten/gloves. They are called Rifle Mittens for Infantry. 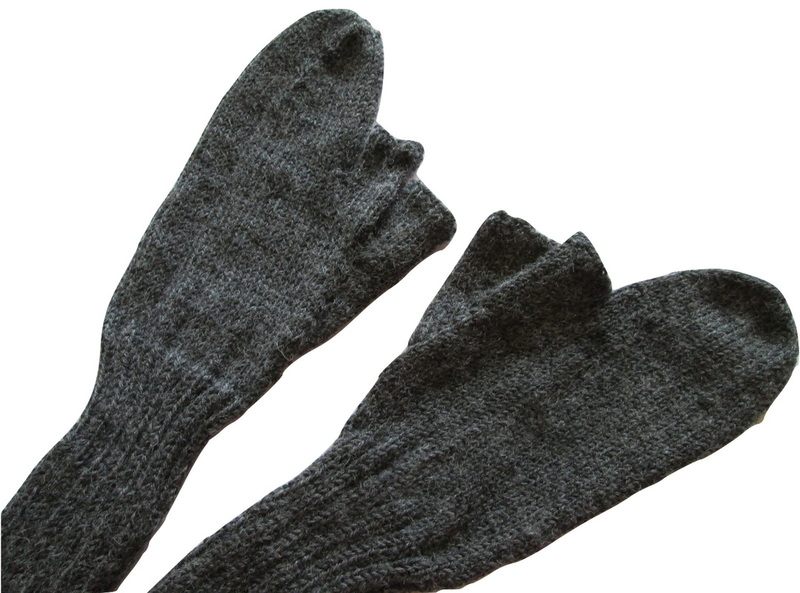 They are a mitten, except for the thumb and index finger, which are open. 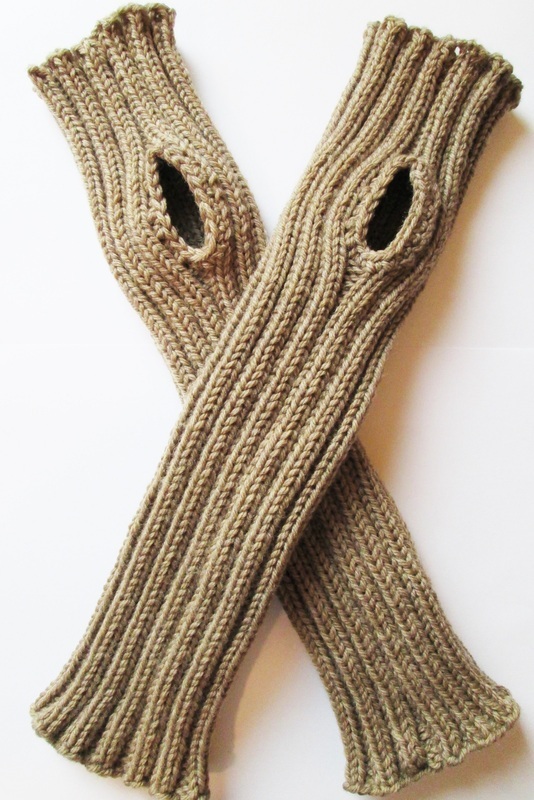 A pair of Rifle Mittens that I knitted. 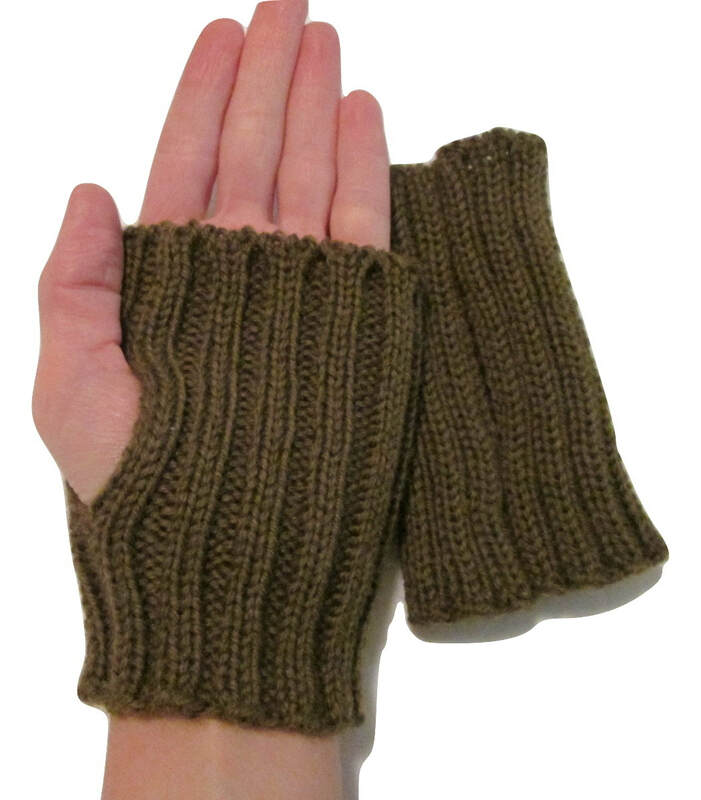 These are called fingerless mittens, half mittens, or gunner mittens. They were designed for gunners. 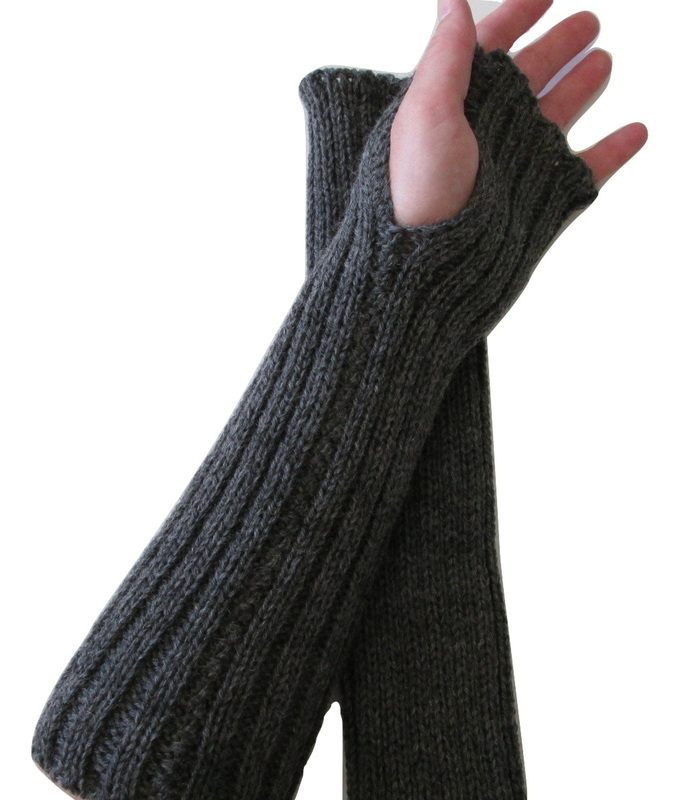 They have ribbing at the top and bottom, similar to the thumbless half mittens, but these have a thumb gusset. Here is a photo of a full mitten. 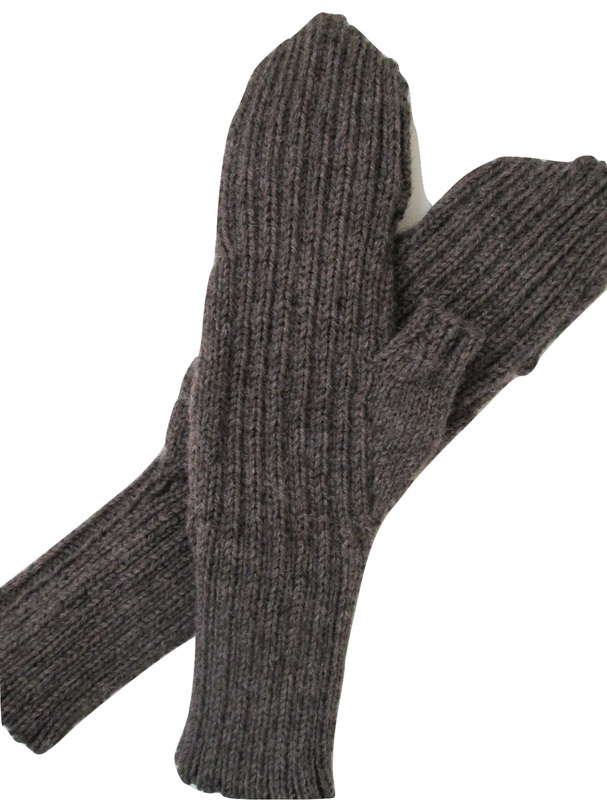 These are classic mitten style. 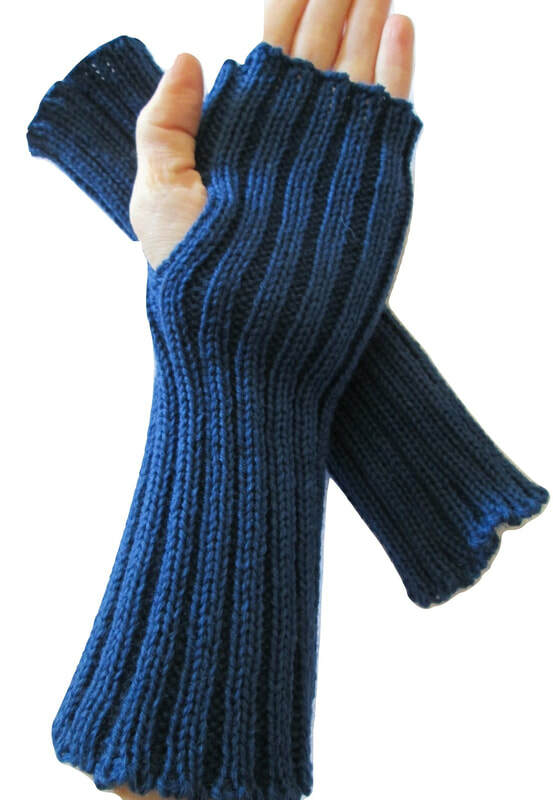 This is the original pattern photo for Doddies, a type of glove that has a split to free the fingers. The following photos show a pair of Doddies I made. This is the palm side. 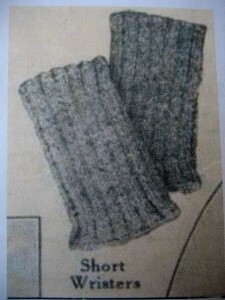 This shows the back of the hand, which is knitted in ribbing. This shows the split in the mitten where you can free the fingers to work. 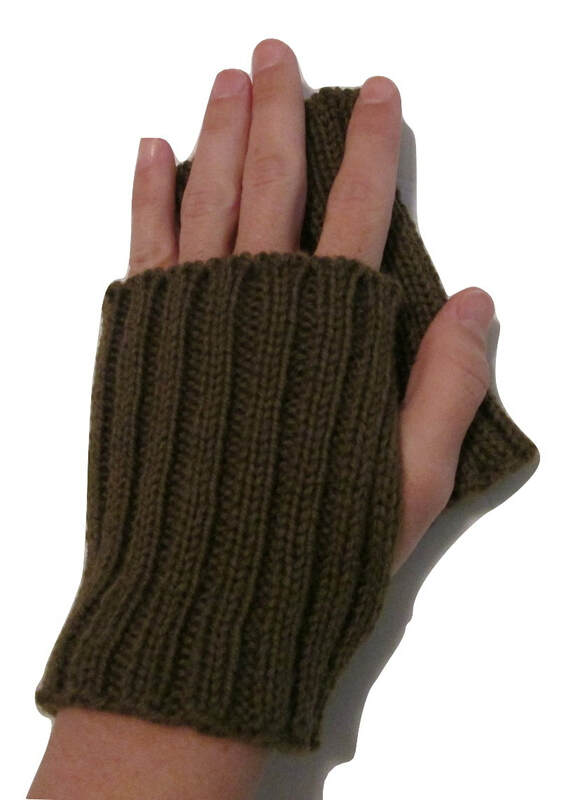 The flap is tucked up under the top part to keep the fingers warm. 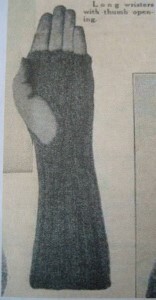 Photo from the original WWI pattern for gloves. 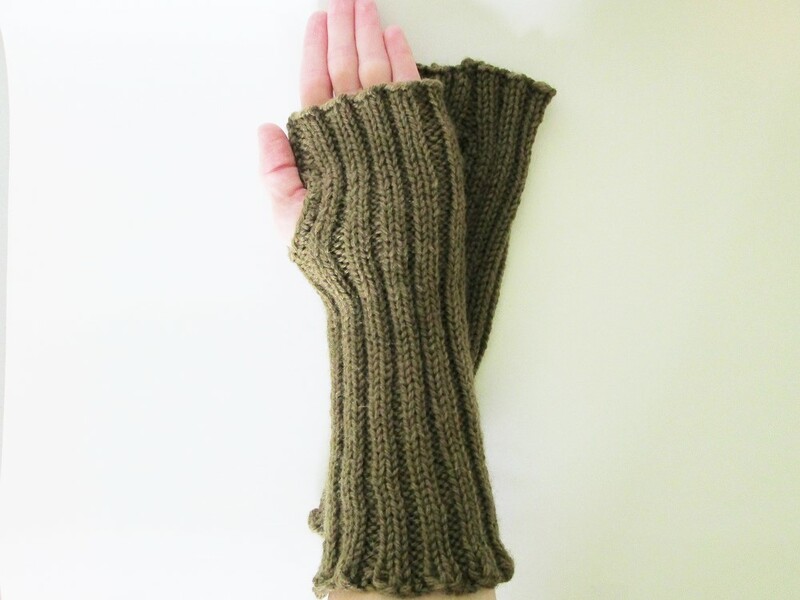 A pair of the WWI gloves that I knitted. This pair is in a very deep green color.